Nikita Singh wrote her first book at 19, published six more in the next two years after which she wrote one every year. All this, while working different full-time jobs. 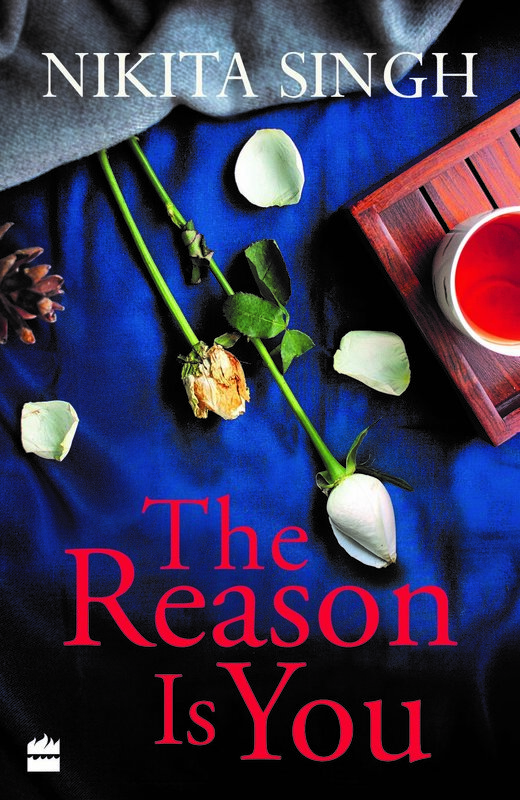 Calling her a prolific writer would be something of an understatement, her 12th book, ‘The reason is you’ was recently launched in Mumbai. With simple language and direct and intriguing storytelling, Nikita’s books have garnered a loyal and ever-growing base of fans across a country where English is more of an aspirational language than a spoken one. To connect with this large and impressionable reader base, Nikita often takes it upon herself to create stories with resounding messages. In this column of writers on reading, the author talks to us about commercial success, the fickle concept of happiness and how she wrote a book in six days at the dining table! When did you know that you wanted to write romances? I don’t think it was a conscious decision that I made. In college, at 19, I had a love story in my mind which was Love@Facebook. It happened because I was thinking about how new celebrities became approachable because of Facebook and people could have an actual conversation with someone who, in the past, there was no platform to interact with. After that I realised that I enjoy writing about relationships and I kept at it. What about your first memory of reading a romantic novel? After school and before college there was a gap of 7 months, we were in this small town called Budwa so there was really nothing to do, I was just at home and my dad had this huge library that had all the books you can imagine. In those 7 months, I was reading one book a day. So, there were so many love stories and books I read that it all seems so blurry now! But some books, I remember were by Barbara Delinsky, Susan Elizabeth Philips and my mom was really into Chandrakanta by Devaki Nandan Khatri so that as well. So, you’re in the process of promoting your book, could you tell us what being on a book tour feels like? Do you enjoy it? How important is it for a writer to promote their book physically, now that social media does a lot of it virtually? I’m not very involved in anything on the publishing end. I just write the book and that’s the only source of pleasure that I get from writing apart from when people started writing to me, letting me know what they thought about the books and the conversations back and forth. I find hotels, airports and the traveling miserable! Although the actual interaction with my readers that happens during the tours makes it all worth it. But you can imagine, this is the first event that we are doing and my manager is thinking about adding five or six more cities after this. This is the first interview that I’m doing and I’m going to say these things over and over again, fifty more times. It gets really exhausting so for me, all the pleasure is only in the process of writing the book and the actual audience interaction. Internet and social media do help in getting the word out, it helps in documentation of the journey. What’s the best fan mail you’ve received? Last year, there was a 17- 18-year-old kid who shared that his mom had cancer and because his dad was at work, he had to be with his mom at the hospital. There, he went through all my books. It’s things like these; that you basically gave company to someone who needed an escape from their everyday lives which I understand because I’ve experienced such situations and found escape in the books I’ve read. I don’t let the positive or negative comments affect me because if I let positive affect me, then the negative also affects me. There are people who hate the genre, who hate the fact that I’m the age that I am and the gender that I am and the things that I do. This is actually in the reviews so then I know where it comes from since they haven’t talked about the content of the book at all it leads me to believe that they haven’t read it. You’ve been very prolific, six books in the first few years alone, tell us a little bit about your writing process. It has changed over time but I like to write alone. When I was younger, I could write in a house full of people. Like at my grandparents’ house during summer vacation where all cousins imaginable were running around the house and I would just sit at the dining table and write. The back-benchers part two that I worked on, I wrote it in six days sitting at that dining table. Now the comfort of the chair matters! Tell us about the title of the book. My only thought with the title was that people need to look within themselves for happiness. What are the book recommendation pages that you follow? Emma Watson’s book club, Our Shared Shelf. All the books that have been recommended on that page, some of which I read have been real gems. Then there’s Oprah’s Book Club and Reese Witherspoon’s Book Club which I also follow occasionally. Which Indian author inspires you? Jhumpa Lahiri. As a person and as an author she is someone I have always looked up to. ‘The hate you give’ by Angie Thomas. A guilty pleasure read for you? Does having a completely different full-time job help your writing? In a more traditional genre like romance, how do you tackle publishers when you have to introduce a twisted love story? It doesn’t happen anymore. I don’t think we even pitch the idea to the publishers anymore. We just write the book and we send it. Publishers in the industry are liberal and they want to talk about things that people in movies or on television don’t want to talk about yet, so they’re more open to novelty and interesting new ideas. If something that doesn’t work in the sense that a certain narrative doesn’t fit a character or if the flow is destructed by something erratic that happens, those are the things that will be pointed out. Like, oh this character might not behave this way in this situation but it’s not like the plot needs to change because of the market. It’s not about what is going to sell. True, but in the past after the success of your book, did you find yourself writing for your readers? I think earlier, in my second or third book I did do that, perhaps. After my first book everyone was thinking about how to sell more and what do our readers like in my books- when you’re young and you get that kind of recognition, you listen to what people are saying even though you are not actively trying to change your writing. I questioned it, which changed my writing but eventually it came back full circle and I became more comfortable with what I wanted to write. How important is critical acclaim to a bestselling author? People love hating on romance as a genre and that’s fine because why not? If I don’t like something, I don’t like it. I don’t write to get any kind of validation although I think I did for the first few books, but when you are happy in your life and fulfilled with what you’re doing everyday I don’t think it (criticism) affects you. It’s very easy to be a critic, but it’s harder to fix things.